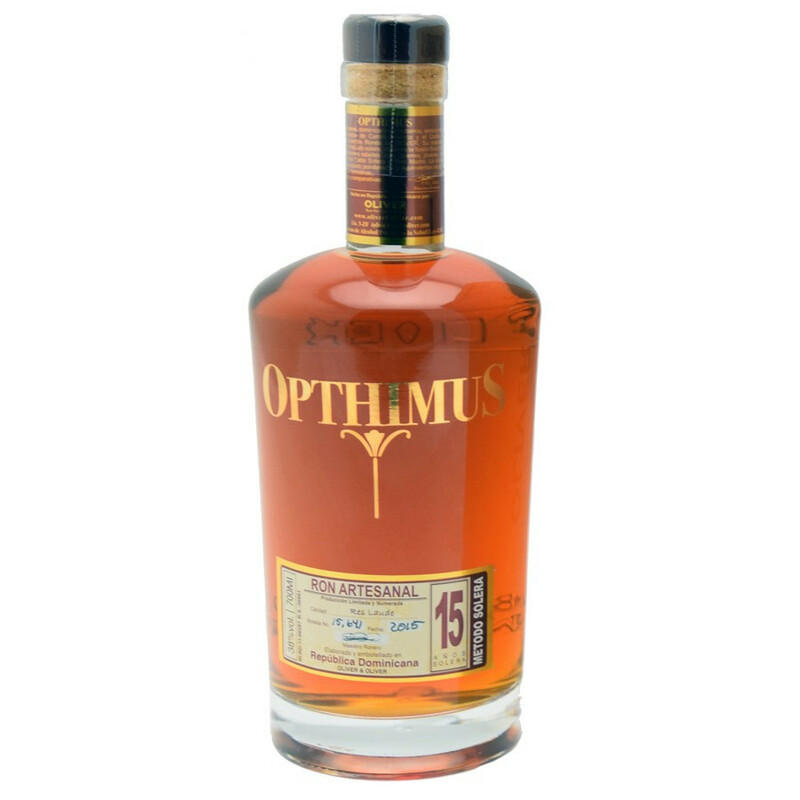 Opthimus rum has aged for 15 years in a solera system and reveals an amazingly sweet taste, with a fruity and woody aftertaste. Sweet and mellow, Opthimus 15 years old Solera surprises with lightly fruity aromas with fresh herbal undertones. Its rich and complex aromatic palette reveals woody notes of oak and honey, with a sweet edge of sugar cane. Just like a very old Cognac, this 15 years old rum has matured in a solera system, typical of hispanic style'rons'. It is matured in bourbon barrel and bottled at natural degree 38%. Opthimus 15 Years Old has been rated 92/100 in the Peñín guide of best wines and spirits of Spanish tradition. Opthimus bears the legacy and knowledge of the Oliver family, originating from Cuba. The family has been dedicated to rum since 1870 and is today settled in Santo Domingo, Dominican Republic. All the Opthimus range is matured in a Solera, a fractional blending system using barrels of various ages. Nose: a subtle scent of fresh herbs and exotic fruits. Finish: a lasting gourmet woody note.